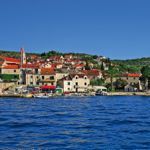 With more than 1,000 islands dotted along Croatia’s coast, there’s plenty of competition for most picturesque, but its historic waterfront village, boutique hotels and proximity to Split make Brac a favourite. Solo travellers can escape single supplements at the beachfront Hotel Lipa on selected dates, and enjoy the wellness centre and pool. Croatia is one of Europe’s hottest destinations – with historic cities, charming harbour villages, azure Adriatic waters and more than 1,100 picturesque islands. It’s easy to get to, with convenient regional departures to Split and Dubrovnik, and it’s fun to explore using local ferries. 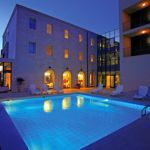 One of our favourite boutique hotels, the intimate Hotel Lipa, is a great choice for solo travellers who want a small and friendly hotel, a warm welcome and a waterfront location. We’ve sealed the deal with no single supplement in a double or twin room for stays between 29 March and 31 May, and between 20 September and 31 October 2015. Both are great times to visit Croatia, away from the busy high season. The hotel is located on Brac Island, just a few steps from a shelving shingle beach. There’s an attractive courtyard swimming pool and dining al fresco on the terrace, overlooking the ocean, is a delight with delicious food and wines. The 28 guest rooms are spacious and well appointed and each has a private terrace or balcony. There’s also a wellness centre which offers relaxing treatments. Delightful Postira and its waterfront cafes, shops and restaurants, is a few minutes’ walk away. It dates back to the 14th century so there are plenty of historic buildings to explore. 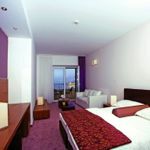 Find out more about the Hotel Lipa and check our special offers for any other single supplement deals.